We know you are in search of the perfect Home. Our experienced and knowledgeable agents are here to help you find it. Here at Mode and Durham, you can trust we have a strong commitment to honesty and integrity, trusted resource for answers about the process, innovative marketing strategies, expertise about neighborhood features, ability to target home searches, strong negotiation skills, and support through the closing and beyond. 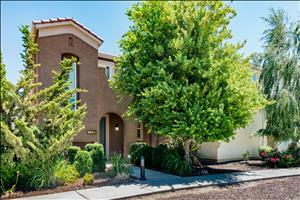 Here you can find homes for sale in the Elk Grove area and other communities we serve. From luxury Elk Grove homes to affordable condos or town homes that are perfect for first time home buyers, we have something for you! Elk Grove and the surrounding areas have homes for families, first time home buyers, investors, people relocating in the greater Sacramento area, retiring or those who are downsizing. We are here to help you find your dream home! Stay as LONG as you like!! NEW!!!! Spend some time with MARKET INSIDER for school scores, market analysis, compare areas, recent home sales, PLUS great tips for selling and buying your Elk Grove or Sacramento home! Take this Real Estate Search Tool with you when you go out to look at homes. If you find a home you like save it in your favorites and then give me a call! Just enter www.FindaHomeinElkGrove.com in your phone's browser and login to your account. The website is automatically reformatted to fit the smaller size screen on your phone, but none of the functionality is compromised.